Falafel !! i have had a love-hate relationship with it for a loooooong time. A perfectionist that i become when it comes to food flavors and textures, i totally loathed this meditteranian dish each and every time i had it at the restaurants or tried those boxed mixes from the store -- found they made them taste bitter hard and crumbly dry. I would have totally given up on trying this dish again, if not for a close friend who made the same from scratch at home and i thought wow ya why not.. why not make it at home from the very base ingredients. Like they say, sometimes you appreciate and understand things more when done in reverse. And believe me from the day i reverse engineered the recipe myself, there's been no looking back. This home made falafel version is a keeper in my recipe book forever . I have made it several times and each time it comes out- ever so moistened , soft and super flavorful inside . Lets start on our falafels, take all the ingredients except the gramflour and pulse to a coarse thick paste in your food processor. Add little or no water in between pulsing if possible. Once coarsely mixed and pasty, remove from the processor into a deep bowl. Test the batter by putting small drops of the of it in the oil first, if it disperses stop. Gradually add gramflour to the batter , try adding as little as possible . Mix well . 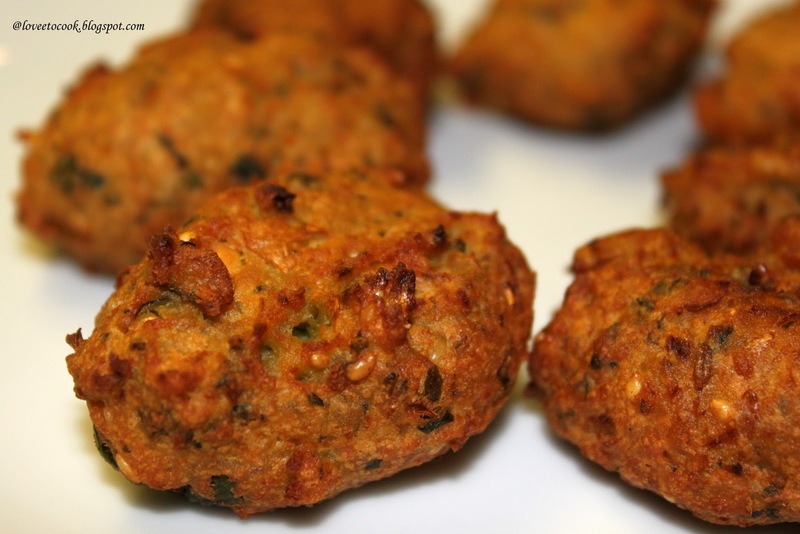 When frying, scoop the falafel batter with the help of a spoon lengthwise. This give them an oval shape and also the size of all falafel s stays even. Between two scoops , try and dip the spoon in a bowl of water so that the batter easily slips into the oil without sticking to the spoon. 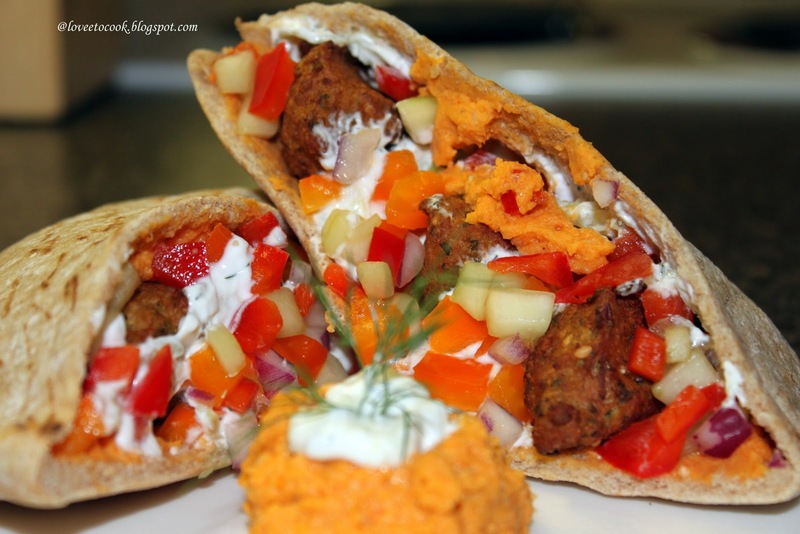 Once fried , serve hot falafel in warm pita pockets slathered with Hummus , Tzatziki and an assorted salad (diced onion, bell peppers, cucumbers) . Drizzle some olive oil over the prepared pocket and Enjoy!! We make a kind of falafel in Greece as well and cal them revithokefte. Yours look very juicy. And their color is great!